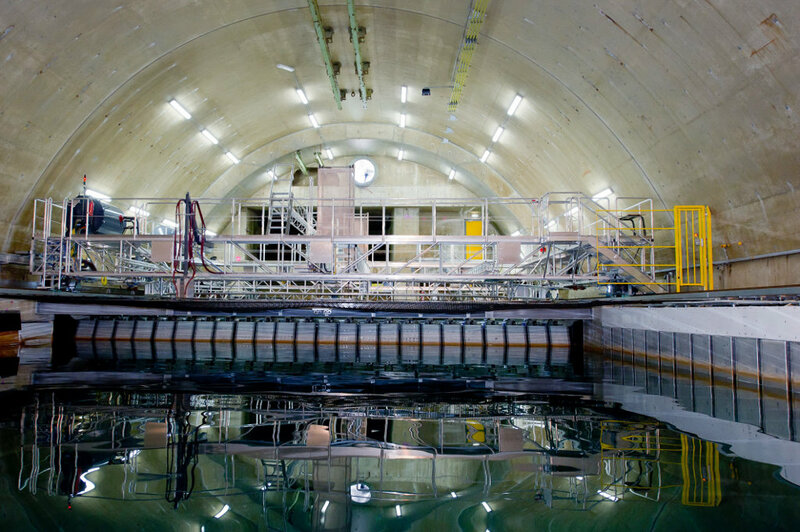 Marin's depressurised tank was built in the 1960s and is used for testing ships and offshore structures in realistic (scaled) operating conditions by reducing the ambient air pressure during tests. 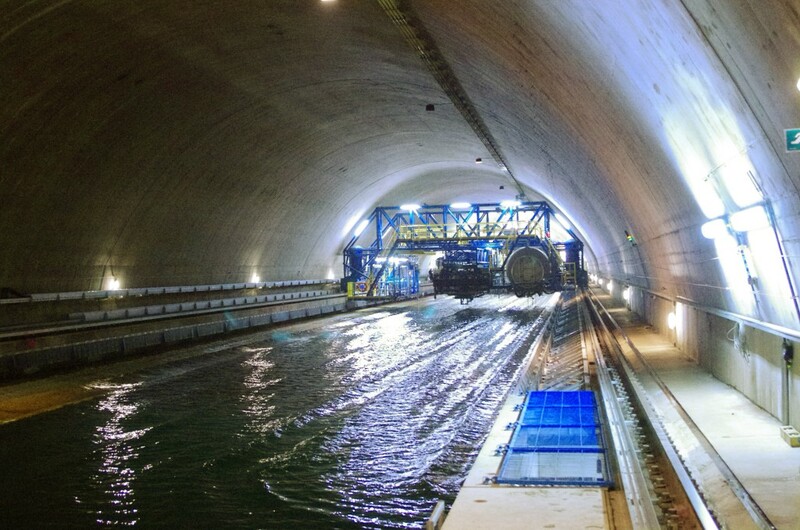 In 2011, as part of a €17m upgrade, Edinburgh Designs won the contract to install the wavemaking equipment. 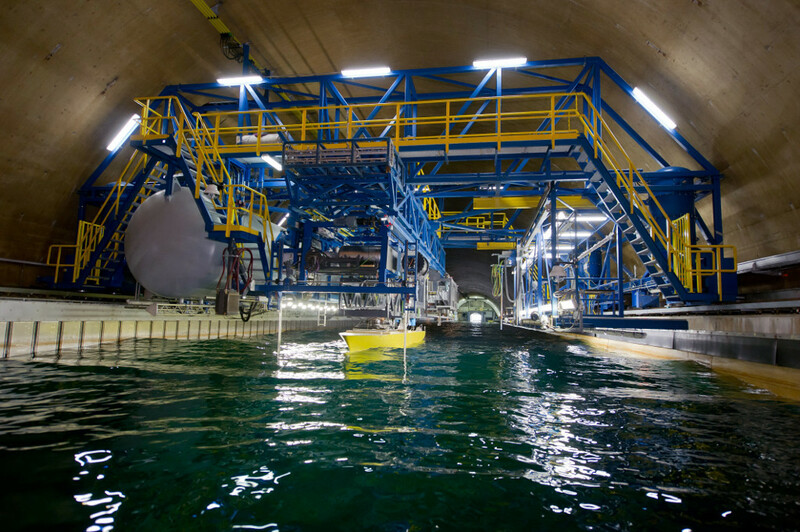 Wave machines have never been installed in a depressurised test facility of this scale as the tank was 260m long with over 1m thick concrete walls. Marin required paddles not only at the end of the towing tank, but also along the side to generate beam waves during towing tests. 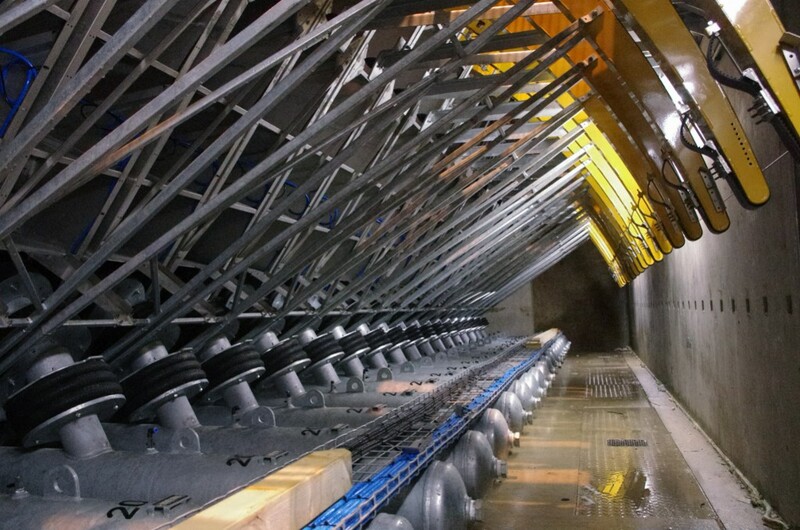 The resulting machine has 224 paddles of two different sizes; this, combined with the depressurised conditions, made this one of the most challenging projects Edinburgh Designs has completed to date. Capable of operation down to 2500pa (0.025 bar) air pressure. 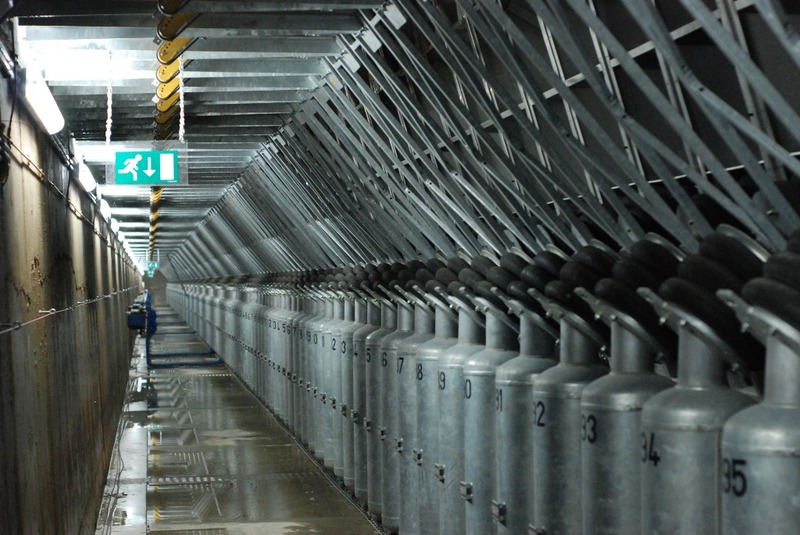 An airtight cable pipe system for the control cables was installed to maintain atmospheric pressure to critical components. 24 flap paddles at the end of the towing tank: 600mm wide x 2500mm hinge depth, capable of a 1m continuous wave. 120m lockable frame to increase freeboard of the 1800mm paddles when generating waves from the 2500mm paddles only. 200 flap paddles along 120m of the length of the towing tank: 600mm wide x 1800mm hinge depth.